Retro Shot is a new game available for iOS and Android phones that marries the speed of a classic pinball game with the puzzle-solving aspects that hooked you on Tetris back in the late '80s. The look of the game is inspired by the online "retro future" movement that can best be illustrated by the artwork used by synthwave artists—a music scene we covered on the site last year. 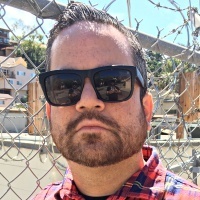 As explained in that piece, the synthwave sound captures the spirit of '80s soundtracks and composers like Vangelis and Jan Hammer. You know, the kind of stuff you'd hear in a good/bad sci-fi thriller, or an episode of Miami Vice when Crocket and Tubbs were speeding their way to a drug lord's mansion. Written and performed by Finnish musicians Tommi Salomaa and Joonas Mäkilä (a.k.a. Retro Thruster), the soundtrack to Retro Shot is a piece of synthwave heaven. Salomma and Mäkilä do a wonderful job of varying the tempos throughout the album, presenting different sides of the synthwave sound. There are dream-like songs ("Light My Neon," "We Could be Free") sprinkled between the harder, more pulsating material ("Mas," "Action"), offering up a dynamic balance of moods and textures. I downloaded Retro Shot earlier this week, and the score complements the gaming experience so well that it's impossible to imagine playing it without Salomma and Mäkilä's propulsive keyboard patterns beneath the action. 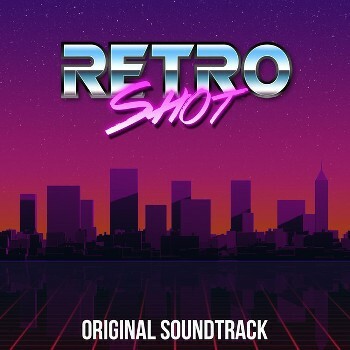 If artists like Timecop1983, Mitch Murder, and Betamaxx make their way into your iTunes library, the Retro Shot soundtrack will not disappoint. You can stream the Retro Shot soundtrack on Spotify.